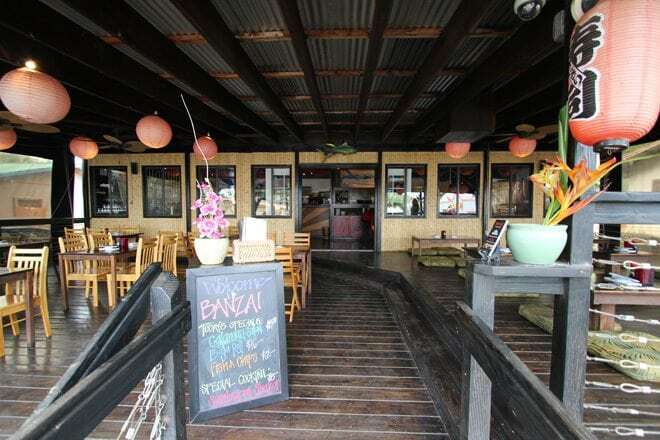 We’re pretty fussy when it comes to Japanese food (living on a multicultural island like Australia with access to world-class international cuisine will do that to you), so we were stoked to discover Banzai Sushi Bar just down the highway from our beach cabin on the North Shore of Oahu, Hawaii. The cool thing about this place is that it suits just about everyone. 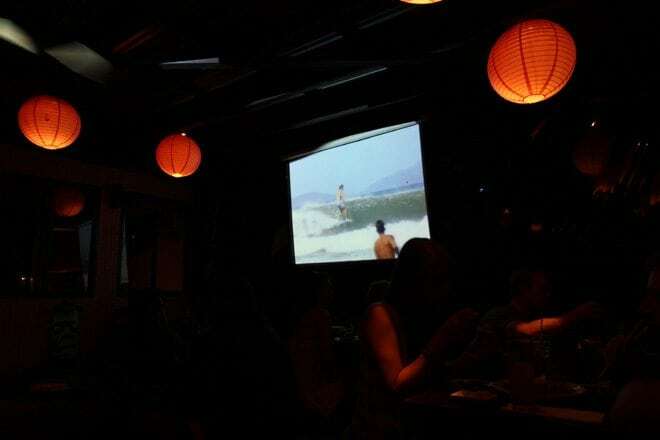 There are romantic candlelit tables for two and surf videos playing on a big screen to keep families with groms, as well as solo diners happy. 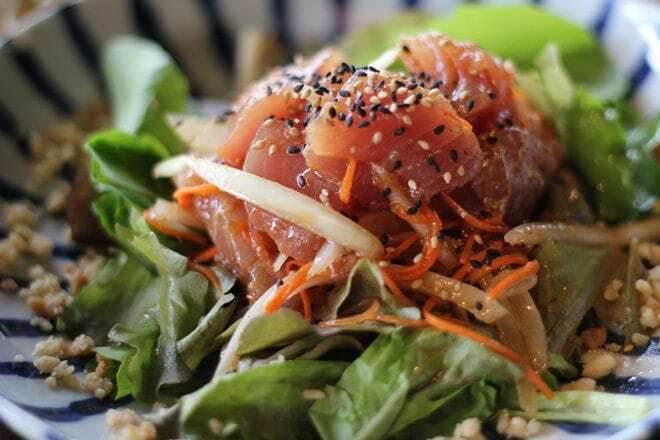 The entire menu is exceptional, but we couldn’t get enough of the Ahi Poke: sashimi grade Ahi with white and green onions, macadamia nuts, sesame seeds and shoyu sesame dressing. 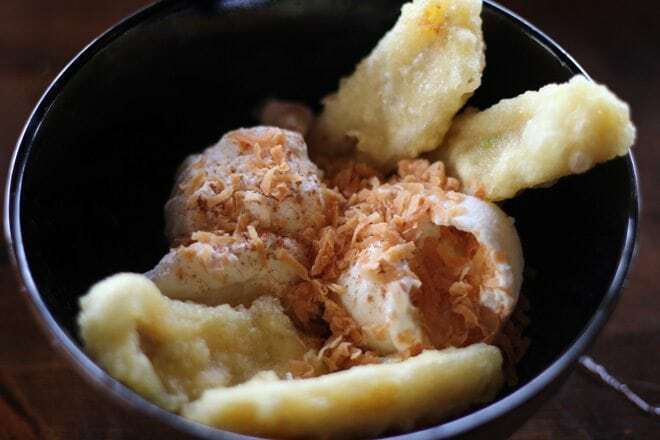 And the Banana Tempura: delicious bananas sliced and fried in a sweet cinnamon tempura batter, served with coconut ice-cream. 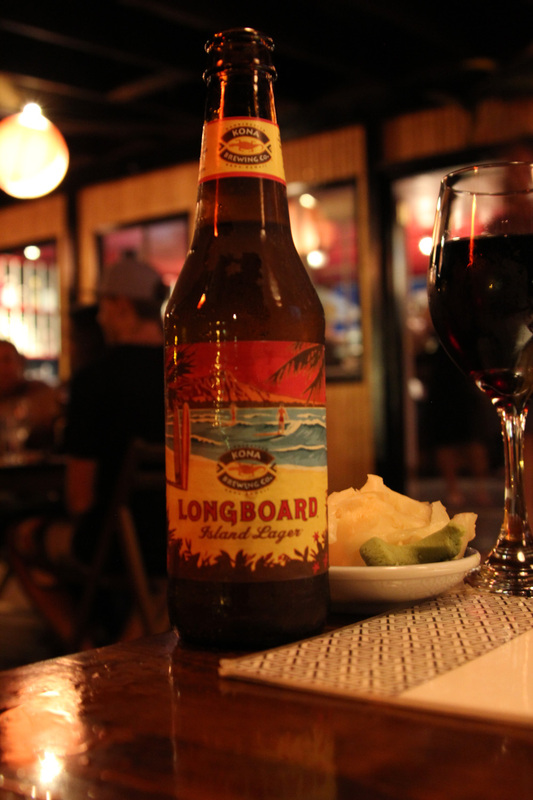 While we sipped on ice-cold Longboard Island Lager, the super friendly staff gave us the lowdown on the best hikes and waterfalls in the area. Our waitress even let us use her own personal mobile phone to call our car rental guys to extend our Jeep time. It’s just that kind of place. 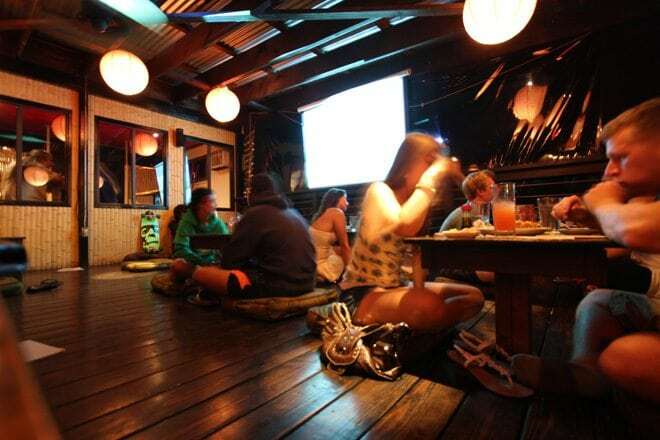 Open daily 12pm to 9:30pm. 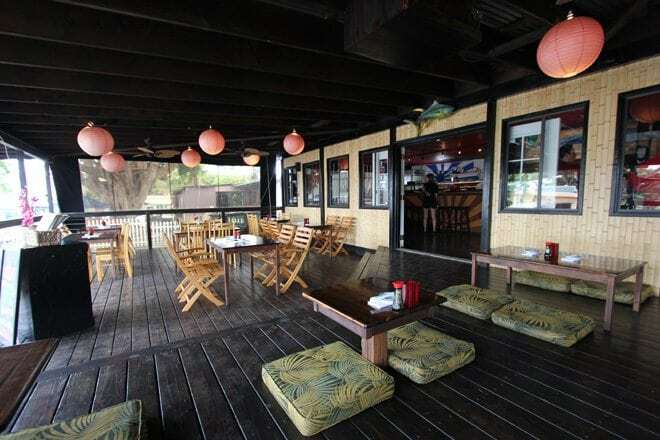 Happy hour 3pm to 5pm. 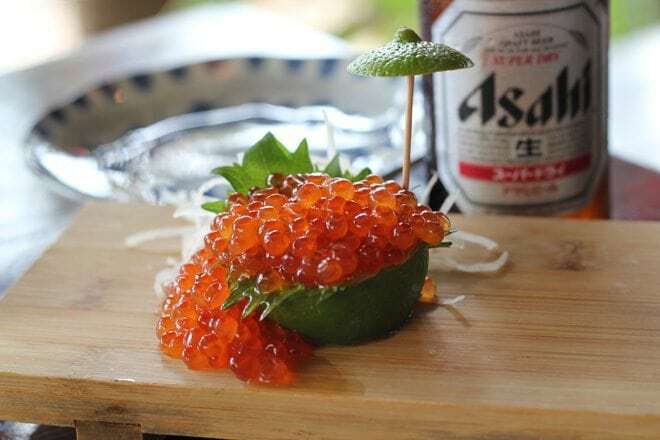 An off the menu fish roe request. Ahi Poke: sashimi grade Ahi with white and green onions, macadamia nuts, sesame seeds and shoyu sesame dressing. 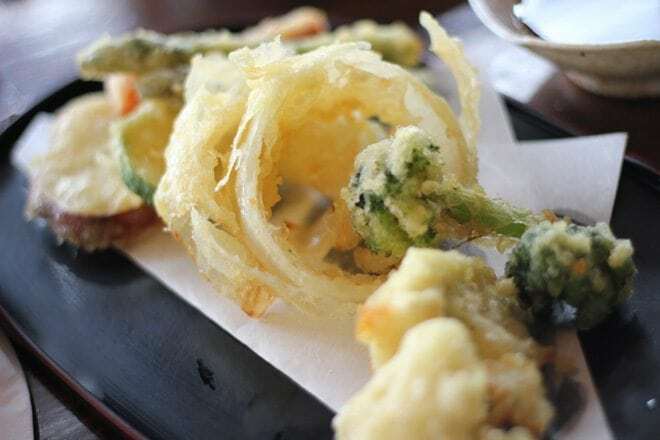 Banana Tempura: banana sliced and fried in a sweet cinnamon tempura batter, served with coconut ice-cream.